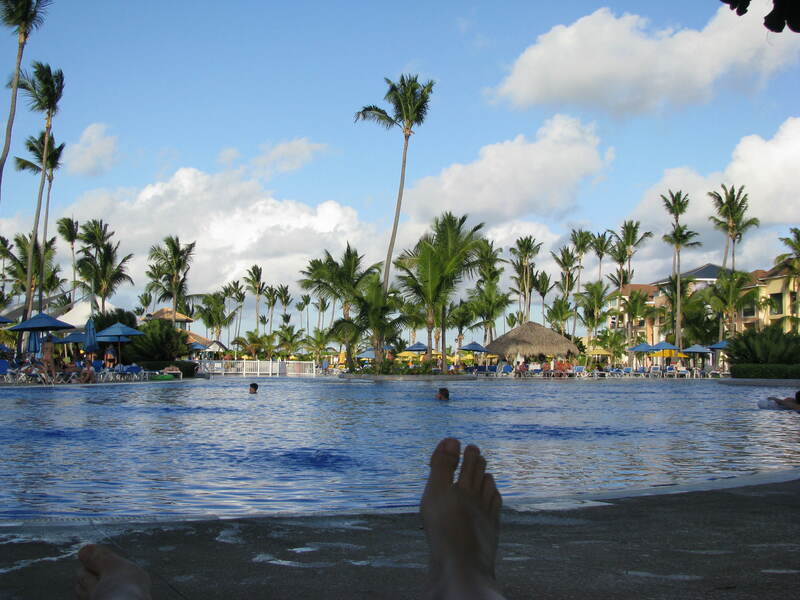 This entry was posted in Travel Photos and tagged 50 Year Project, Busy Life, Dominican Republic, Life, Photography, Pools, Poolside, Travel, Travel Blog, Travel Journal, Travel Photo, Vacation, Vacations. Bookmark the permalink. I think it is calling my name, too…….let’s go together! Ha – are those your feet in the picture! It made me laugh out loud! For some reason on our recent holiday I took a few pictures that included my feet – partly to prove I was there and partly as a bit of a giggle because Paul thinks I have horrible feet (the nerve!). People make fun of my long toes! Tell Paul to be nice. I’m sure your feet are beautiful. Actually, no, they’ll never be accused of being beautiful! He does have a ‘bit’ of a point! Don’t give in. I’ve been teased all my life about my feet…don’t give in! Let’s go! Can you pick up some books from Tattered Cover? Nothing too serious, they had really good drinks. I’m on it! Wouldn’t that be fun if we actually did it? it’s a nice thought, I think at least. Dude … totally my dream at least for an hour. Good pic. Me too dude! My hour is starting now….. Very nice! It is a cold, windy, rainy day today. The warmth of the image is calling me too. It rained all night here. I loved it, but didn’t want to get out of bed this am. Yep, those are my long toes. I was teased a lot about having such long toes. Now I’m comfortable with them.